Neo Pets Shadow Black Kougra Plush Stuffed Animal 2005 9"
Neopets 2002 Kougra White and Purple 10" Plush Stuffed Animal. Items as pictured. Previously owned but in nice condition. Approx. 4” tall. No hang tags. Tush tags intact except for Cloud pet. Petpet clips are in good shape. Please see pictures for more details. Shipped quickly and securely! Thanks for shopping! Maraquan Chombie 2004. Yellow Wocky 2004. Blue Kougra 2006. No odors, pet hairs, holes, markings, broken seams or parts. If not pictured, not included. Quite possibly the best, cheapest, or only one like it currently listed. Usually received quicker than expected. 2002 Limited Edition Angelpuss Neopets Plush - NWT in Excellent Condition! 2002 Angelpuss Neopets Petpet Plush. Plush White Cybunny 7". Interactive Red Shoyru. 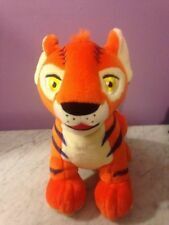 Plush Orange Kougra 6". 2003 Blue Doglefox Neopets Mini Petpet Plush - EUC with Tags! 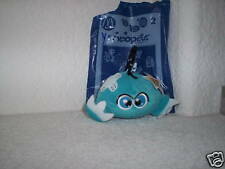 2003 Blue Doglefox Mini Neopet Petpet Plush. 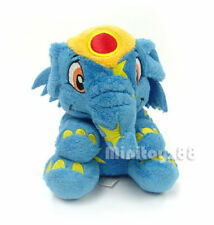 Up for your consideration is a Mcdonalds Neopets plush! There were many toys in the set and this is a part of the expansive collection! The item is in USED condition and shows signs of wear. Regardless, they are sure to delight any Neopets Fan! 2003 Rare Yellow Ixi Neopets Plushie 7". NEOPETS UNI UNICORN White Plush Irredescent Wings 2003 11"
Neopets Plush. 2003 Unicorn. My goal is to make you happy, and I try to describe as best as possible. 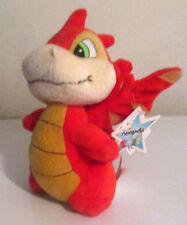 This is a Neopets RED BLUMAROO Plush Stuffed Animal. Made for McDonald's in 2004. It is in Great Condition. Neopets green and purple Kougra tiger plush stuffed animal approx 18 in long. PURPLE HASEE. Exactly has seen in photos. Jumbo Green Kougra. Walmart Exclusive. You get all 13, characters are as shown in the picture. This plush is clean,out of package and from a non smokers home.Has no tags.5" tall. If you have any questions,please ask. All shipping and handling will be $2.99 within the continental U.S.
McDonalds 2004 NEOPETS. New Sealed. This is a NEOPETS SOFT WHITE LUPE Plush Stuffed Animal Toy. Made by Snap Creative in 2004. It is CLEAN! No Stains, Tears or Defects. 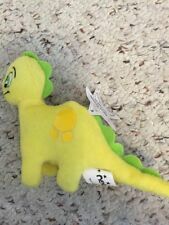 Neopets plush Big Green Kougra, Jakks Pacific, 2008 NO CODE. Green with purple stripes, embroidered facial features. Measures approximately 11" in length sitting excluding tail. Condition is Used. Shipped with USPS First Class Package. #13 SHOYRU. McDonalds 2004 NEOPETS. 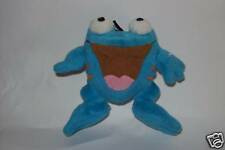 Neopets Rainbow Kacheek Plush Stuffed Toy Doll 6"
Need your item sooner?. No problem! See photos for further condition details. I have never seen a factory misprint like this. Exactly as seen in photos. Aisha yellow. they no longer work. 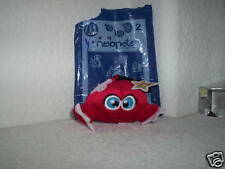 2002 Red Kau Neopets Plush. Limited Edition. McDonalds Neopets Green Gelert Plushie. 2008 Jakks Pacific Neopet Red Kacheek 11” plush in good condition. There are no rips or stains, plush is very soft and cuddly. Still has tag attached. Please look at pictures as they show condition.